By Twila Paris. Isaiah 52:7, John 13:1-17, Ephesians 4:25, Ephesians 5:30, Philippians 3:21, Colossians 1:18, Hebrews 10:10, Song of Songs 4:1, Romans 10:5-15. 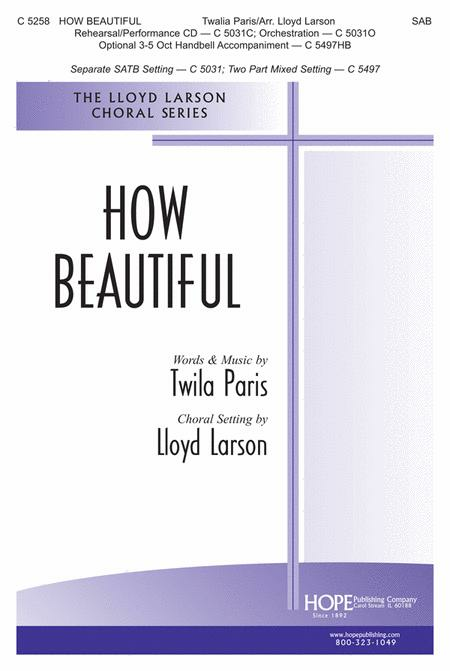 New for 2012, Lloyd offers a dramatic new vocal solo (medium voice) setting of this popular song. 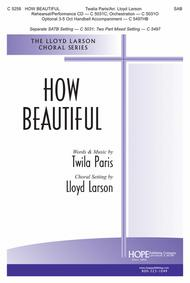 This piece is also included in Lloyd's extensive collection of vocal solos, The Essential Collection for the Church Soloist (#8508). Exquisite. Beautifully arranged. However, the suggested tempo is too fast for the piano accompaniment--making it sound rushed against the sustained melody and poignant text. A tempo around 100 M.M. would work for a less busy orchestral accompaniment, however. training, but the song is not hard to learn and we identify with it. It's a keeper, something we'll be glad to sing again and again. March 17, 2009 Great Arrangement! to lose the flavor of the original. The piano accompaniment is well-written and playable by an intermediate level pianist. 40 of 80 people found this review helpful.
. I was pleased to find this version, which is at least intermediate. My only problem with this version is that it is missing a verse and thus will have to be adapted for my wedding. 35 of 66 people found this review helpful.